Kkaennip are one of my favorite vegetables. They have a unique flavor and are used for so many Korean dishes. They’re also easy to grow! 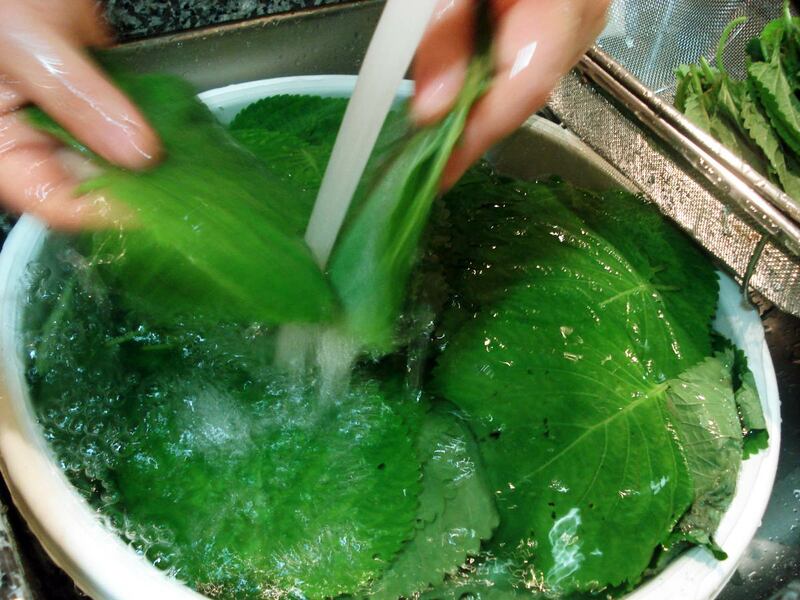 Wash and drain 1 pound of perilla leaves and put them into a basket. 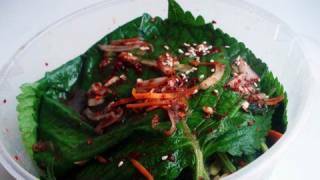 Prepare 1½ cup soy sauce to salt the leaves. 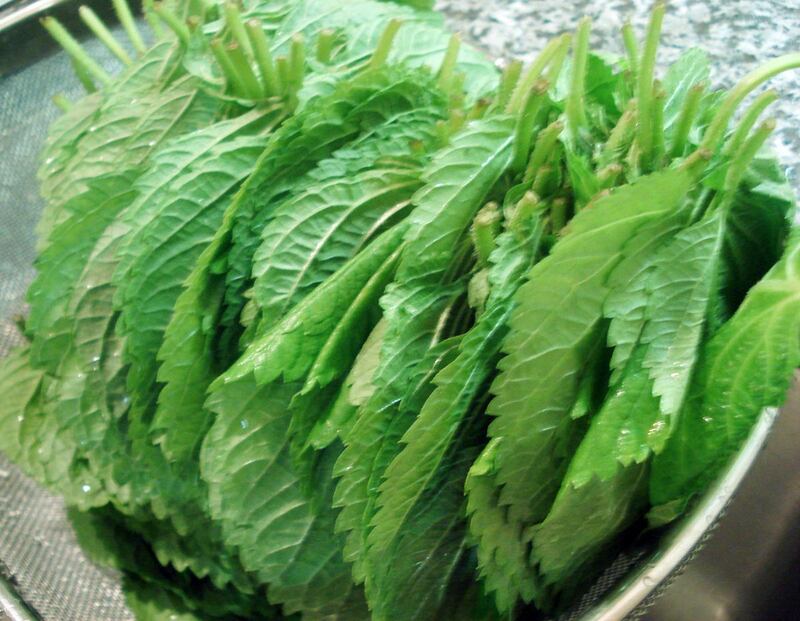 Pick some perilla leaves (about a dozen leaves) and put them into a large bowl. Drizzle soy sauce directly between the leaves, little by little. Repeat until you used all the leaves. 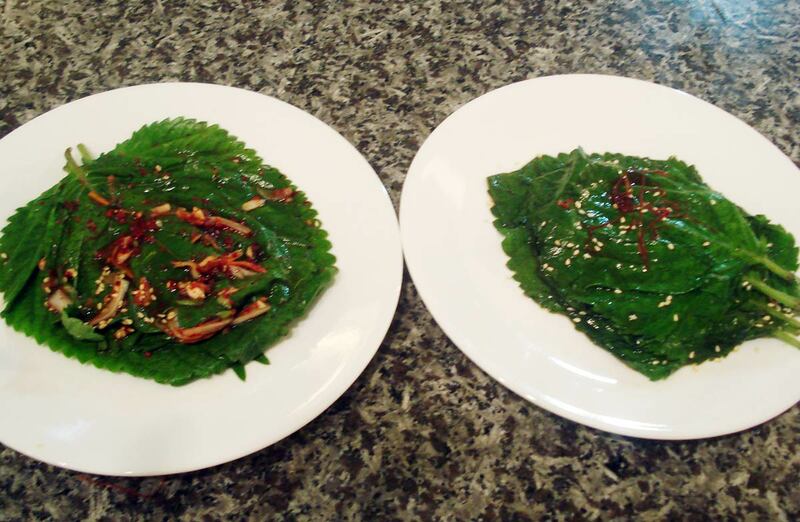 Turn the leaves over a couple of times to salt evenly and wait about 1 hour. 1 hour later, squeeze the leaves slightly and put them into a container. Transfer the liquid of soy sauce brine to a pot. Add 1 cup of water, 1 medium size sliced onion, 4-5 cloves garlic, 1 medium sized sliced apple, 1 tbs of sliced ginger to the brine. Bring to a boil for 30 minutes over medium high heat. Strain the brine and cool it down until it reaches room temperature. Pour the brine onto the leaves in the container and keep it in the refrigerator. 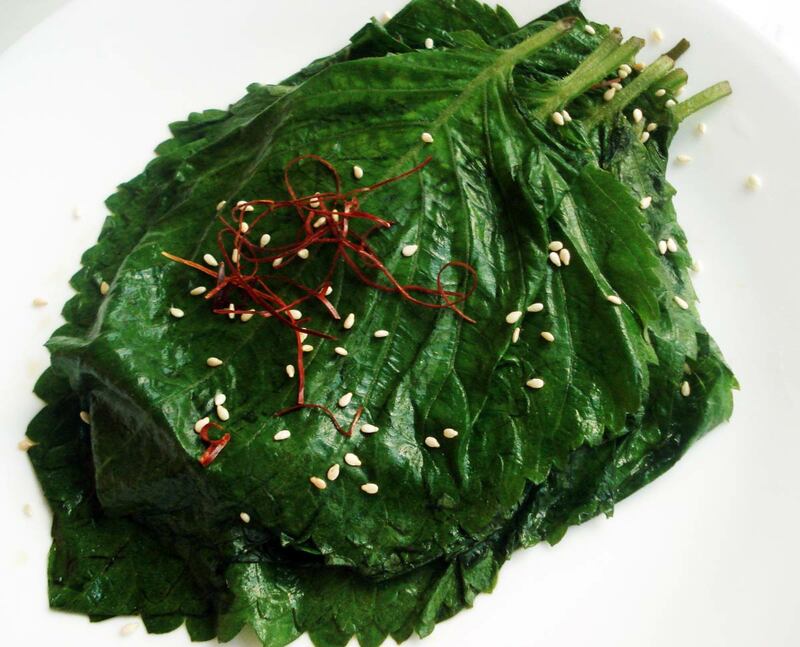 When you serve it, transfer some leaves to a serving plate and garnish with roasted perilla leaves and shredded red pepper (called shilgochu or silgochu: 실고추). Posted on Wednesday, August 5th, 2009 at 9:57 am. Last updated on October 5, 2014. Posted September 22nd, 2013 at 12:03 pm | Log in to reply. 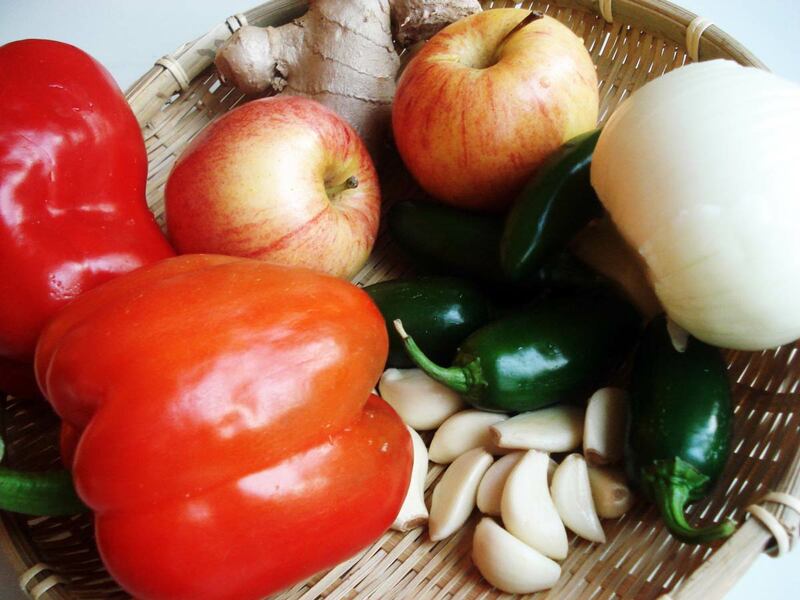 Sept. 22, 2013: Yesterday, picked an organic apple from our neighbor’s tree; from our organic garden picked the Jalepeno Pepper & Perilla Leaves; received organic garlic from our friends; shopped the organic onion and ginger. Tried making 깻잎 for the first time and now I can’t wait for more Perilla leaves to grow. Posted September 7th, 2013 at 5:50 am | Log in to reply. 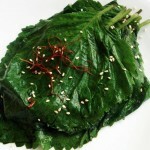 This recipe was originally posted on August 5, 2009 at 9:57 am by Maangchi. It was last updated on October 5, 2014. The video was watched 238,220 times on YouTube & has 1,835 likes!